When I was young, I would spend my days getting lost in adventure books. Series like Choose Your Own Adventure and Give Yourself Goosebumps were fantastic — there was something special about reading a story that you had control over. Perhaps my favourite of these types of adventure books was a series called Fighting Fantasy, a series created by Steve Jackson and Ian Livingstone that were more involved than anything else on the market, you rolled your stats with dice, fought in epic battles, and, well, you died. A lot. It was the closest thing you could get to a video game without actually playing a video game, and I loved it. 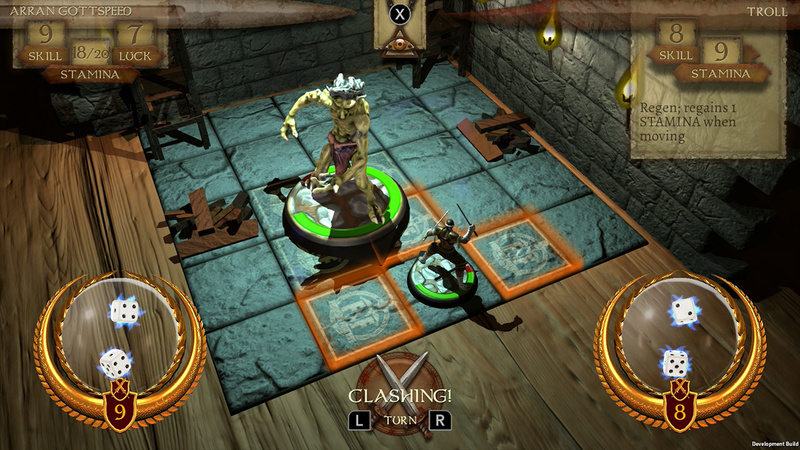 Fast forwarding to 2018, Aussie developers Tin Man Games have released The Warlock of Firetop Mountain on Switch, a video game conversion of the very first Fighting Fantasy book, that has captured the essence of Fighting Fantasy in a fun, easy to play way that’s a perfect fit for the Switch. How could I say no? In The Warlock of Firetop Mountain, you’re tasked with venturing into the depths of Firetop Mountain to complete a particular task — usually retrieving an artefact or treasure of some kind — that, in most cases, will almost definitely lead you to face off against the powerful Warlock Zagor. Depending on which hero you choose, your goal will be slightly different; one hero’s in search of an ancient family heirloom, one’s a hired mercenary sent to retrieve a treasure for a barkeep, and another just really likes smashing goblins in the face. Almost every hero will start in the same place, and almost every hero will (hopefully) reach the top of the mountain to take down Zagor. But while these defined bookends sound limiting, the personal goals and unique skillsets of each character mean that each trip up the mountain will play out in vastly different ways. Sure, you might use the same method to sneak past a sleeping orc a few times, but each character has a path to take, and that path will always be different, even if just a little bit. 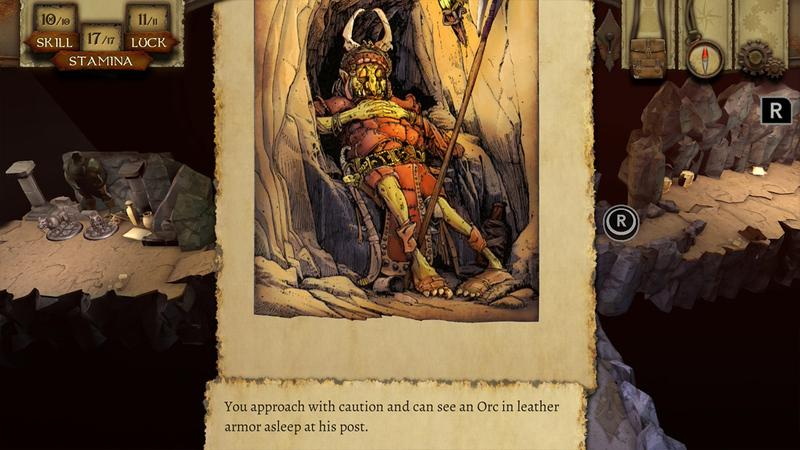 The Warlock of Firetop Mountain plays more or less identically to how you would play when reading along. You have a hero, you venture into the mountain, getting drip-fed lore and information with every move, and you fight against all the nasty creatures under Zagor’s employ. There are differences of course — combat is much more involved, for one. It’s an interesting little grid-based strategy game, somewhat similar to the combat seen in strategy RPGs, but greatly simplified. You and your enemies are set down in a small grid, and each turn both you and your enemies get to either move one space or attack. Once you’ve decided what to do, all characters on the stage, friend or foe, move at the same time. This means that you’ll often attack in a space where an enemy was, only to have it move out of the way as you’re attacking, or you’ll try to move to a certain space that an enemy’s also trying to move to, only to bump into each other and end up where you started. If you and an enemy attack each other at the same time, you’ll also both have to roll a dice to decide whose attack was successful, in a style Dungeons & Dragons fans will find familiar. It’s a fascinating system, and while it may be a little on the simple side, there’s something incredibly satisfying about out-predicting a grid full of orcish warriors to come out of a battle unscathed. Similarly fascinating is the approach to aesthetics — every character, heroes and enemies included, are represented by miniature figures, and the environment itself is a beautiful, evolving landscape, with each area falling into place as you enter it. It’s an incredibly effective approach, and it lends itself extremely well to the storytelling and world-building on display. Having the environment appear as you discover it, as opposed to laying it all in front of you from the get go is a particularly strong addition; it was strangely nostalgic, feeling like a visual representation of the way my mind would dynamically build the world of whatever book I was reading as I learned of each new piece of information. 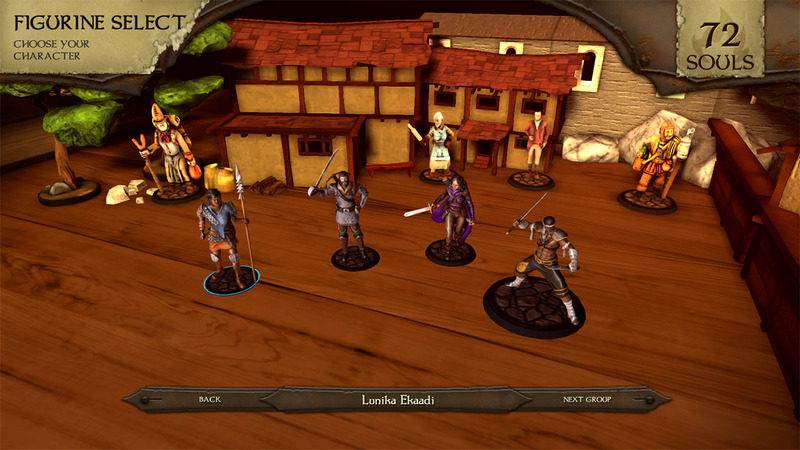 In terms of performance, The Warlock of Firetop Mountain is a little bit hit and miss on Switch. For the most part, it runs just fine, but the load times are far too long, and there are occasional stutters and freezes in some places. It’s nothing game-breaking, and no matter how many times it froze or hitched, the action would resume without any crashes in sight, but it’s still a little frustrating to see it in what is otherwise a fantastic experience. There were initially some texture-loading issues in my initial play sessions as well, but they’ve since been fixed in the day one patch. The Warlock of Firetop Mountain is a classic adventure book brought to life in the most spectacular fashion. It’s an absolute joy to play, aesthetically beautiful, and a perfect fit for the stop-and-start nature of the Switch. It has a few performance issues, and it could do with maybe a little bit more polish, but that’s easy to overlook when the experience on offer is so fulfilling. Tin Man Games has delivered a faithful representation of a classic story, in a fashion truly worth of the Fighting Fantasy name. The Warlock of Firetop Mountain is a classic adventure book brought to life in the most spectacular fashion. It's an absolute joy to play, aesthetically beautiful, and a perfect fit for the stop-and-start nature of the Switch. It has a few performance issues, and it could do with maybe a little bit more polish, but that's easy to overlook when the experience on offer is so fulfilling. Tin Man Games has delivered a faithful representation of a classic story, in a fashion truly worth of the Fighting Fantasy name.